In job interviews, we often ask candidates what they see themselves doing in five-years. Their answers help us decide whether they’re a good cultural fit for our organization, and more importantly, if they’re worth the time and effort to train. Five years may seem like a long time to a prospective employee, but in terms of business, it’s the blink of an eye. In the tech space, there have been many changes in the last five years. Unified communications and collaboration technologies have really taken off in the past few years—and we can expect more in the near future. With developments in the cloud computing space, the incorporation of seamless video experience, and the explosion of the Internet of Things, unified communications and collaboration will continue to revolutionize business in the next five years. Cloud Unified Communications, or UCaaS, is poised to explode. According to Broadsoft, market penetration is expected to increase six times (to 41 percent) in the near future. Enterprises are moving away from on-premise solutions in favor of the cloud. According to the survey responses of 129 global business industry leaders, Cloud UC is expected to grow 300 percent for large businesses, 700 percent for midsize businesses, and 500 percent for small businesses. These survey respondents think that UCaaS isn’t the only thing taking off. Mobile will continue to be a driving factor for cloud adoption. Nearly half of all survey respondents believe the majority of UC interactions will occur via mobile by 2020. They also predict that one-third of small businesses will eschew traditional on-premise communications altogether in favor of mobile UcaaS/PBX Host solutions. Say goodbye to the desk phone: in the next five years, it will be well on its way out. Ease of use. Applications will be even more user-friendly and intuitive. Smaller total cost of ownership. The bring your own device (BYOD) movement will add even more cost savings. More mobility means more productivity. Millennials are taking over the workforce—and Gen Z is right on their heels. These generations are accustomed to mobile work and demand flexibility. Recent figures suggest that voice communication is reaching the end of its heyday. Approximately 188 billion emails are exchanged per day. Voice communication occurs only 3 billion times per day. In contrast, video is gaining popularity. In 2015, over 200 million people participated in a video conference. Larger companies, like Google, lead the adoption curve: they conduct an estimated 6,500 video group conference calls daily. Businesses now see the merit in videoconferences due to the 30 percent reduction in annual travel costs. Video is another medium that encourages productivity. Users conduct a phone call for an average of 23 minutes, while a video call takes an average of 35 minutes. The history of the internet can be separated into three waves. Beginning in 1985, the first wave launched the internet. For the 15 years that followed, Cisco, IBM, Netscape, and Microsoft connected 25 million users and developed ways for those users to communicate online. The second wave ushered in the Information Age. This brought the rise of social media and e-commerce. Software became subscription-based—not something you bought. The current third wave is known as the wave of things. This time period focuses on connecting everything within the Internet of Things. Everything we use will be integrated, from health care to education to retail. In the near future, our devices will be able to talk to one another without human intervention. I believe that the next five years holds promising developments for UC. 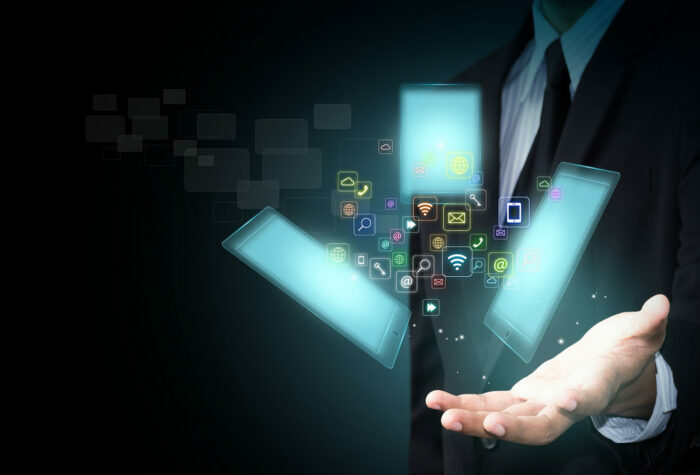 Mobility trends and the BYOD phenomenon will continue to make UCaaS popular. The integration of smart technology will make our communication seamless. Expect more exciting improvements to collaboration technology in the future—it will be here sooner than you think.